Directorate of Technical Education, Maharashtra has released MHT CET admit card 2019 on its official website today. New Delhi/24.04.2019: Directorate of Technical Education (DTE), Maharashtra has released MHT CET admit card 2019 on its official website today. All the candidates appearing for the test can download the admit card by visiting the main website from 24th April onwards. To access or to avail it, the aspirants must possess the application number, the security key and the password. Remember, this is a vital document, and you must take great care to keep it safe with you for future reference. Note: The admit card will not be sent via post or any other mode. Under the “Login (Only for already registered candidates)’ section, enter your ID and password to access your account. 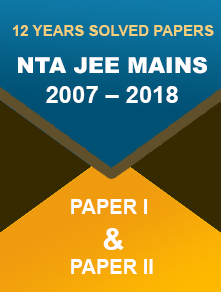 The admit card of MHT CET 2019 will be displayed on the screen in the PDF format. Before downloading, check the hall ticket for any discrepancies. If it is all okay, download the same and take a print. In case of discrepancies, the candidates are advised to reach out to the concerned authorities for rectification on an immediate basis. Details to be found on the admit card are roll number, the signature of the candidate, name of the candidate, exam date, test centre address and registration number. Preserve the hall ticket for future reference. You will need it at the time of entering the exam hall and counselling. Candidates need to carry a valid ID proof along with the admit card to the examination centre. 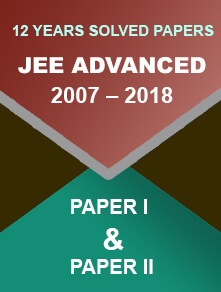 The MHT CET exam is held every year for admission to engineering (B.Tech./B.E.) and pharmacy (Pharm D/BPharm) courses offered by various colleges in Maharashtra. Satya, who claims to be a travel enthusiast by passion and an educationist by profession, is a key member on board at Exams Planner. His simple, immaculate writing skills and meticulous attention-to-detail ability have helped thousands of students enrol at the top-notch institutes in the country. Keeping a view of his unstained track record, his fellow researchers hail him as one of the finest in the education industry. But he calls himself, a true guardian of the future of our nation. A writer by day, a reader at night and a traveller when time permits, he leaves no stone unturned gathering the correct information to guide people – be it, students or travellers – in a right way. When he’s not playing with words, you may spot him sitting next to you on the bus exploring the city, on the train seeking new destination, on the lounge in a classy café chit-chatting with fellow bloggers or guiding the travellers. 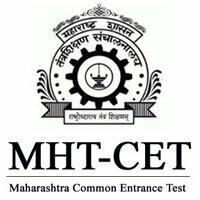 MHT CET 2019 – Exam to be conducted through Computer Based Mode MHT CET 2018 First Allotment List Releases online at dtemaharashtra.gov.in एमएचटी सीईटी (MHT CET) 2018 परीक्षा के प्रवेश पत्र हुए जारी, यहां से करें डाउनलोड MHT CET Admit Card 2019 Released; Here’s How to Download It ExamsPlanner: MHTCET 2017 Admit Card Available Now! Copyright © 2018-19 Exams Planner, All rights reserved.